SO MUCH has been written on Brexit and so much on Mrs May’s character – or lack of it – that sometimes I think there is nothing else to be written, and indeed to write anything else is sheer self-indulgence. However the question of why Mrs May is still in office and has not been ignominiously kicked out by her party as she ought to have been by any normal political standard or at any other time in history, remains impenetrable. Why the Cabinet have acted more as her ‘vegetables’ than Mrs Thatcher’s Cabinet ever did, given that she is no Thatcher, continues to bemuse. Is it that they are secretly frightened of this uncommunicative women, like Mrs Boynton’s family in Agatha Christie’s Appointment with Death? I have often wondered: How has she continued to dominate? Of course she has benefited from and ruthlessly exploited the deep divisions in her party over Brexit. Her sheer ruthlessness has been totally and consistently underestimated. But what has not been pointed out before is the con-trick Mrs May has played, if not on all of us, on an awful lot of people including her own ministers and former ministers who are still keen to praise what they still like to believe is her ‘fortitude’, her ‘commitment’, her ‘tenacity’ or ‘sense of duty’. The historian Andrew Roberts put his finger on it in Saturday’s Telegraph in his article headed with something of an understatement: ‘Mrs May will rightly take her place as one of the least successful Prime Ministers in British history’. I doubt if that would have been the wording chosen by TCW’s headline writer. Malcolm Muggeridge famously divided British politicians into bookies and bishops, differentiating between the happy-go-lucky ‘bookies’ like David Lloyd George and Winston Churchill, and the serious and austere ‘bishops’ such as Bonar Law and Neville Chamberlain. For all Mrs May’s rectitude (like Gordon Brown, she is the child of a clergyman), her happy and successful marriage, and the lack of any whiff of personal corruption (unlike Lloyd George), in fact she was a bookie posing all the time as a bishop. She took risk after risk, in her general election, her negotiating position with Brussels, with the DUP, with her three meaningful votes, and on any number of other occasions. Her great problem was that the risks rarely – if ever – came off. 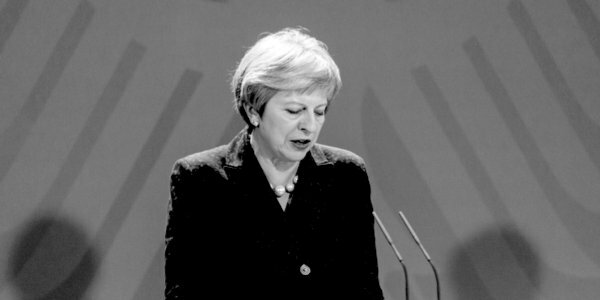 The bishop-like approach when she became prime minister would have been to prepare business, the civil service and the country for a managed, WTO-based, no-deal Brexit, without giving Brussels any guarantees on security, future domicile status for EU citizens, a divorce pay-out or indeed anything else until a negotiating timetable was agreed that was fair to both sides. Any fifth columnists in the civil service who were actively undermining the strategy should have been demoted; it would not have taken long for the rest to get the message. The squealing of the Remainers would have been loud and long – especially of course on the BBC – but nothing like as bad as it has been. She ought also to have worked ceaselessly to try to undermine Brussels’s position by emphasising to European national governments and especially their business leaders that the intransigence of Jean-Claude Juncker and M Barnier was risking their future tariff-free exports to Britain. We have seen determined efforts by Brussels to undermine Britain’s negotiating position in this way, even to the extent of M Barnier arrogating to himself the right to demand a general election or second referendum. There has been absolutely no reciprocity by Britain. When it finally became unavoidably clear that the Remain-supporting Parliament, led by its Speaker, was intent on subverting the clearly expressed will of the people, Mrs May should have called another vote of confidence in her Government like the one she won on January 16. After facing down her Remainer rebels and winning, she could then, as is her constitutional right, have asked the Queen to prorogue Parliament until April 1. By the time Parliament reconvened, Brexit would have happened, most probably using a series of sensible bilateral deals to preserve a trading status quo that benefits everyone. If you can get behind the Telegraph pay wall, Andrew Roberts’s analysis is well worth reading in full. You can find it here.